Mother’s Day is the third largest card giving holiday of the year, behind only the winter holidays and Valentine’s Day. Rather than purchasing a card, I like to create a unique and beautiful hand-made card. Here are a two of my designs using recycled materials. 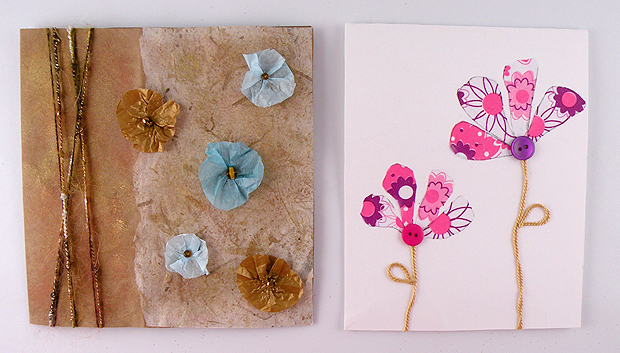 A great way to recycle a brown paper bag is to create a beautiful card. 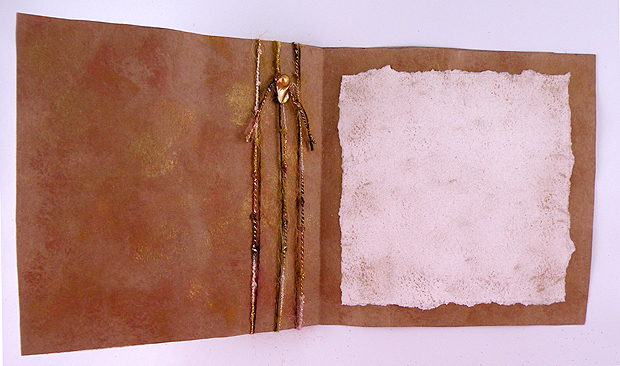 The brown paper is sponge painted with metallic bronze and gold tones. Reused tissue is used to create the flowers and accented with beads recycled from an old piece of costume jewelry. Leftover yarn is wrapped around the card for finishing touch. This card was created from 100% reused and recycled materials. 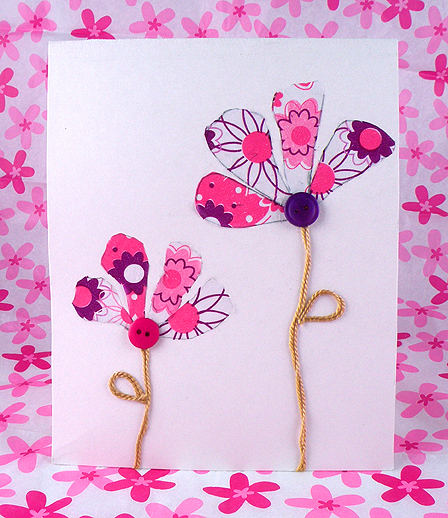 A beautiful floral card design can be created from items you probably already have around your house. This is an easy design to create and can be made over and over again once you have constructed your initial pattern. You can get creative with the colors and textures of your flowers and even change the color of the cardstock to create your own signature card. 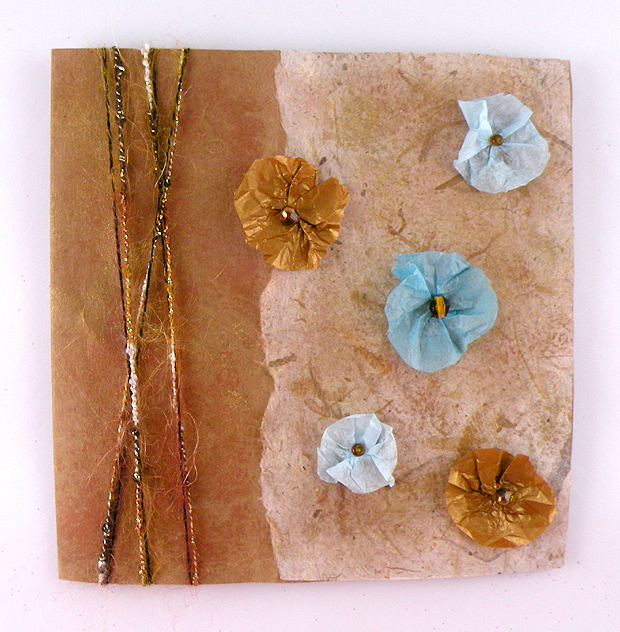 This entry was posted in Cards, Holidays, Mother's Day, Recycle and tagged brown paper bag cards, cards, floral cards, hand made cards, Mother’s Day, recycled paper cards, tissue paper cards. Bookmark the permalink.